My husband thought that a little pond in the backyard would provide some interest. I wasn’t too sure about it but a little 75 gallon pond seemed like an easy thing to manage. We picked out a spot among the hostas and dug a little hole over two weekends. We had purchased a polyethylene pond liner from Lowes, a little filter pump, a bird shaped spitter and a few water plants. We headed to a local landscape and masonry supply business to buy some larger rocks. 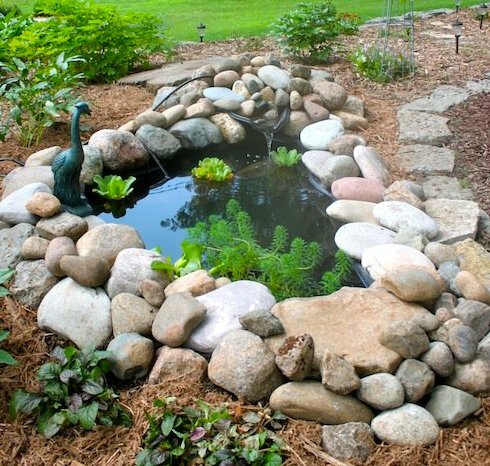 Voila – an instant pond! All we needed next was some pretty fish to swim around in our little garden pond. So I went to my local Petco and purchased three koi and three shibunkin goldfish. While I’m more likely to purchase koi from a koi breeder now, these pet store specimens did very well. 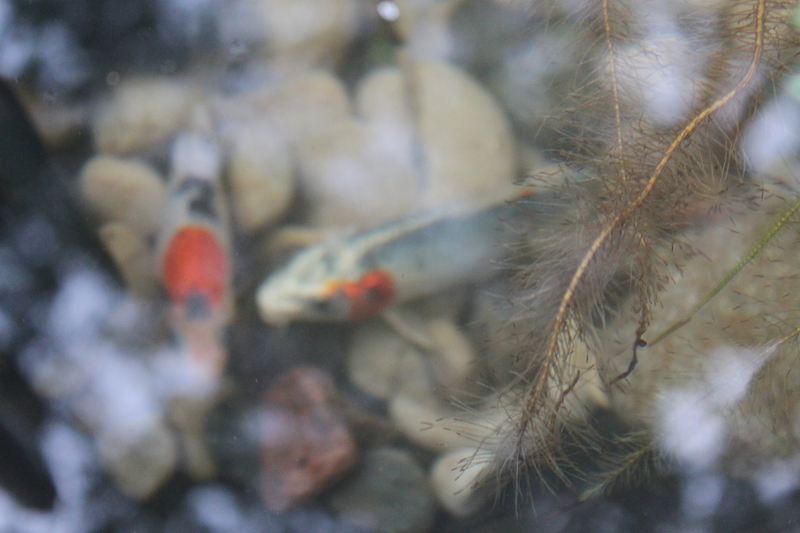 Two of the goldfish are still alive and quite large; all three koi lasted until January 2014, when we found one dying. Another pond liner happened to come our way and we decided a second pond might be nice. Once again some more digging, buying some more rocks and of course buying some more koi. The two ponds were doing relatively well and I enjoyed adding to the pond population. Some were amusing goldfish and I think four or five more koi. This is where some of our koi and goldfish met their demise. 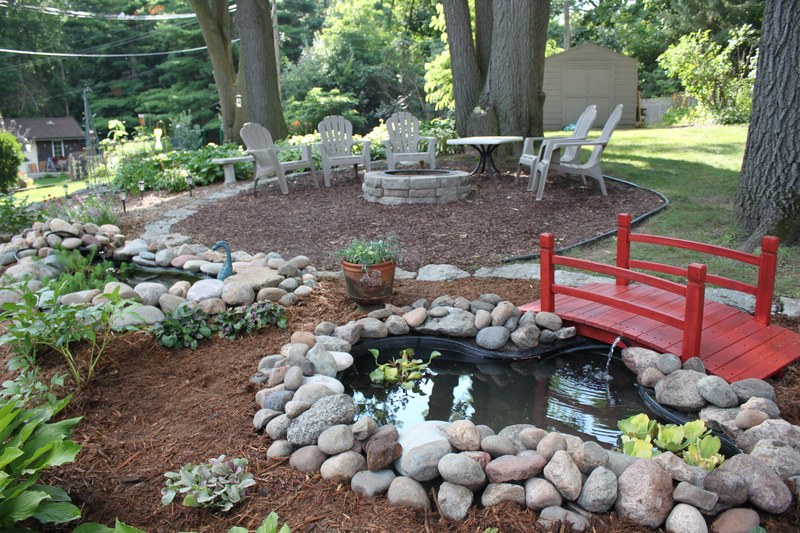 The little ponds are easily accessed by birds, raccoon and neighborhood cats. The biggest culprit though was not regularly cleaning the pond pump/filters in the two ponds. The crowded conditions stressed out the poor fish and at least one was found belly up. 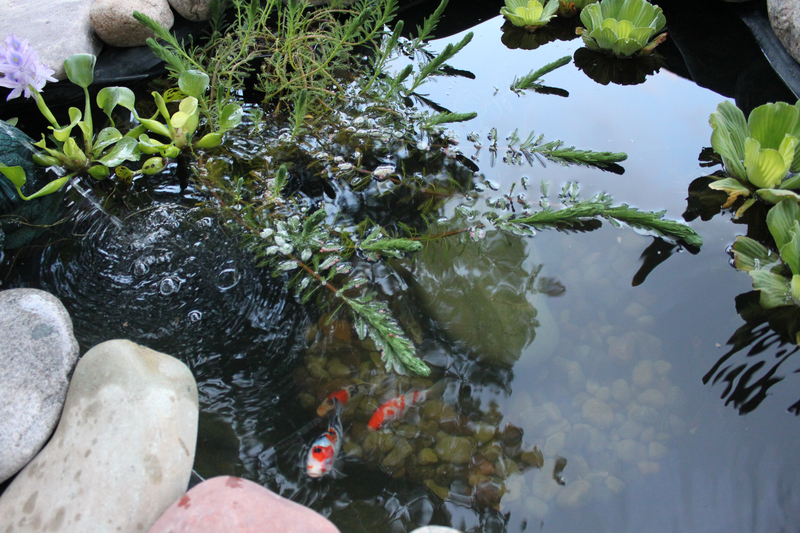 We headed into Fall 2011 with three koi and four goldfish. Rather than have fish popsicles, we purchased a 55 gallon aquarium and brought them into the garage to winter. So what did we learn in 2011? 1. 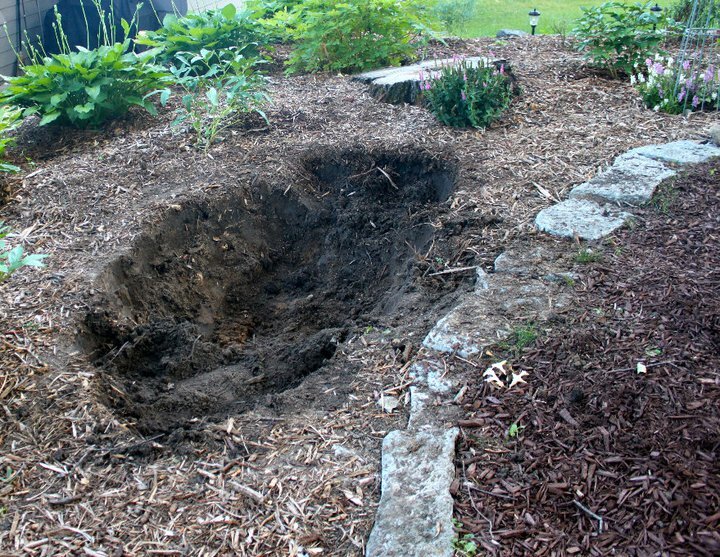 Small preformed pond liners are okay but buy the right pump/filter system and clean the pump filters regularly. I think if you are not sure about keeping koi, try a little pond first. You can always sell the liner on Craigslist to someone. 2. Resist the urge to add just one more fish to the pond. 3. If you have neighborhood cats or wild animals that like sashimi, put a net on your pond. 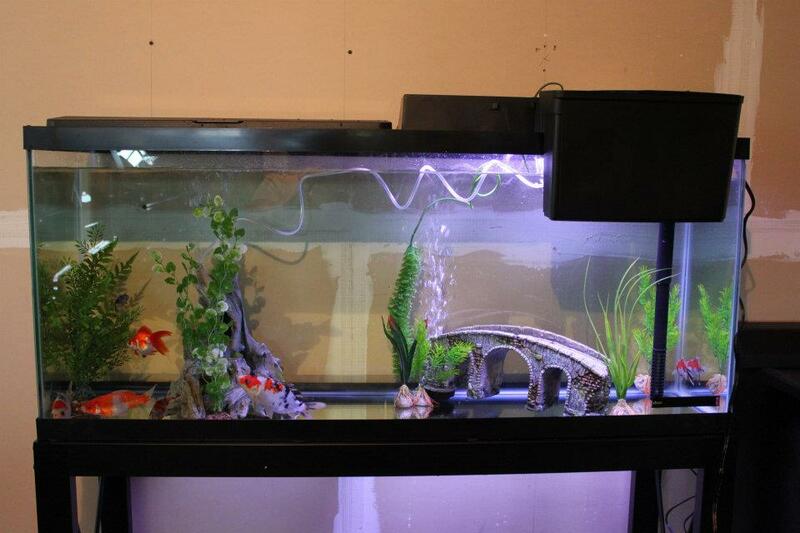 Actually, ensuring that you have something that the fish can hide in or under is usually sufficient. 4. Don’t feed your koi like goldfish. At the end of the summer our fish had grown but using quality koi food makes a huge difference. We learned that the next summer. Gloria here, i sooooooooooo enjoyed going on to this site, i really admire the work the “pond digger” and you have created…..wow…i will be going out and checking often. see you saturday..or before if my brother shows up as planned.